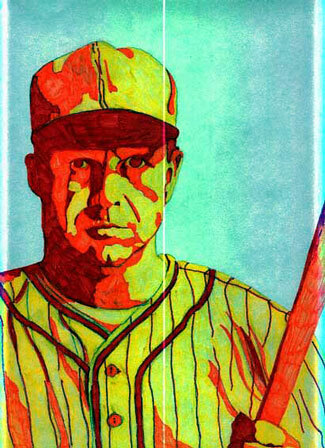 This was the second piece in my "ballplayer" project for an art class in high school. It was actually done with plain old crayola markers but I did not want to make a section in my portfolio titled, "markers." Don't tell anyone.